Is the Occupy Movement Justified? We all know that the economy is a mess. The public's perception of how bad the economy really is, and what is in store for us in the future, varies from one individual to another. One continuous perception that is reported on is that during the great depression, the majority view was that things would get better, that manufacturing jobs would come back, and that better times were ahead. These viewpoints are not held, according to different polls, by the American public today. Americans have seen our manufacturing sector shipped overseas mainly to take advantage of cheap labor and also because of more liberal oversight of government regulations. Working conditions are not regulated as much, unions are either non-existent or ineffective, and the cost of doing business is much lower overseas. It is really not too difficult to see why our manufacturing base has been outsourced. 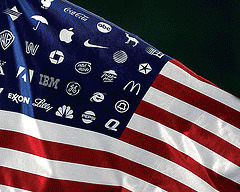 Most corporations are now trans-national. Companies that were once American owned and operated are now have board meetings with board members from every continent. There is no loyalty to any one nation in much of the corporate world. As the global economy changes however, and the United States escapes the financial crisis that is plaguing Europe with the collapse of many EU members economies, it may become an asset to remain in the US. Asia and Latin America have become players in the new world economy. As Europe gradually becomes fractured, new opportunities appear in nations that have healthy economies such as the BRIC nations (Brazil, Russia, India and China along with nations such as South Korea, the Philippines and others). The competition is fierce. The United States, while still the world's largest economy, can take nothing for granted the way it did in the twentieth century. It's a given that both the workers in the U.S. and the employers must face a new reality. The main problem that faces the U.S. is unemployment or under-employment. Young people graduating from college are finding that getting a job is tough. Getting a job that matches their degrees is even tougher. Many people hold the corporate sector accountable for unemployment, but it is much more complicated than that. The sad truth is that since 1970, the pay of the American working class has been more or less stagnant, while productivity has skyrocketed. This is a new model for Americans. In the past, as a company made money, the workers also made money. This is not the case since the 70's. The wages of the American worker since the 70's has risen approximately 15% while productivity has risen approximately 82%. Factors such as automation on the assembly line and computers in the personnel department have contributed to this. These factors also can be figured into job losses overall, this means less people on the assembly line and less people in the personnel department means fewer people on the payroll. According to IPS, American CEOs make 263 times the average compensation for American workers, up from the 30 to 1 ratio in the 1970s. For comparison, the average compensation of a Japanese CEO is less than one-sixth that of their American counterpart and 16 times more than the average Japanese worker. So who is making money in the world's largest economy? What sector is the wealth going to? Here are some facts that The NY Times doesn't put on their front page. In 2007 according to a University of California study, the top 1% received 346% of the income in the US, while the next 19% got 50.5% and the bottom 80% received a huge 15%. That means that the top 20% received 85% of the nation's wealth. The top 1% average $380,354.00 and the bottom 50% averaged <$33,048. That covers income distribution, now let's examine wealth in the United States. In 2007, according to the same University of California paper UI mentioned earlier, in 2007, the top 1% possessed 42.7% of the nation's wealth. The next 19% had 50.3%. That left the bottom 80% of Americans with 7% of the nation's wealth. In total net worth, in 2007, before the housing crisis, total net worth of Americans broke down with the top 1% having 34.6%, the next 19% with 50.5% and the bottom 80% owning 15%. That's a little better, but not much. In 2009 the top 1% had 42.7%, the next 19% 40.2% and the bottom 80% with 15%. This last bit of information means that 80% of us share 15% of the total wealth of this nation that the government doesn't own. 15% of all private wealth! Meanwhile, the detractors of the Occupy movement suggest that we all wear tin hats. I beg to differ.